Skateboarding is an amazing game that requires perfection and balance. It is one kind of balancing acts and sports competition are being conducted. 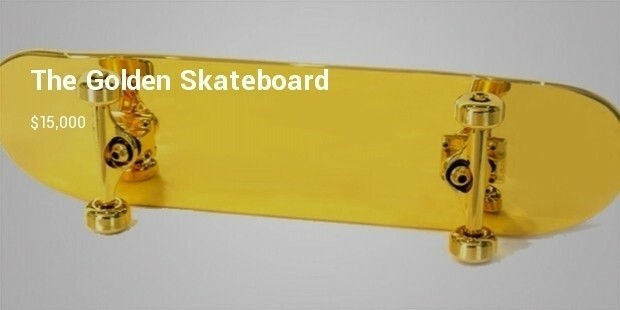 There are some expensive skateboards in the world which comes with fine finishing giving an amazing experience. Normally used in riding and performing tricks, this sports product has been in use since last 50yrs. It is made out of 99.999% gold, and there are just 6 of them out there. 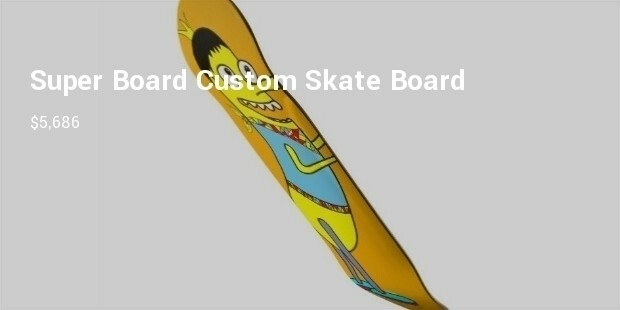 This skateboard was designed for New York’s skateboard shop SHUT. It is 31.5 inches long, 8 inches wide, and, at 9 pounds. 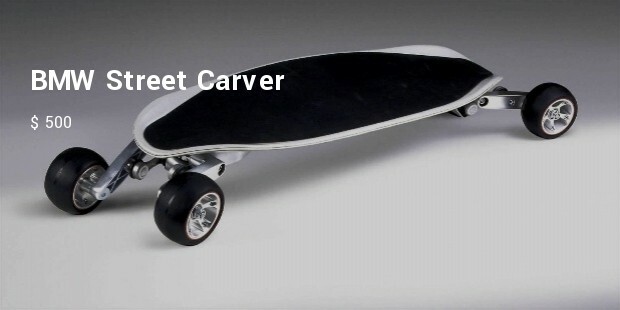 Coming from the house of BMW, this skateboard is quite heavy and blended with cast-aluminium truck assemblies, wood and fiberglass deck and 110mm wheels. This electronic skateboard is capable of reaching twenty miles per hour in only four seconds. Once it is charged the skateboard can run 10 miles can be charged 400 times. Whether you like grinding on half-pipe or kickflips in the street, then this is the best skateboard to go for. 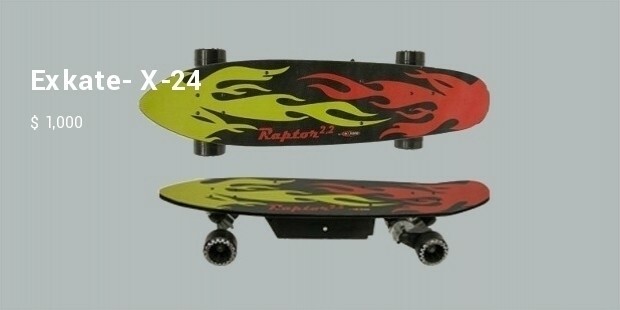 Made from best quality hard rock maple, it is one of the expensive skateboards in the world. These above mentioned skateboards come with high quality body and are branded ones that remains strong for years.